Most author’s biographies are boozy stories, but to be fair to Oscar Wilde, he had more than his share of sorrows to drown. He also had the defense mechanism of his caustic humor, but it started to fail him during his final years of disgrace. After his release from a British prison, Wilde lived like a refugee in France and Italy, but the “Bosie Affair” continued to reverberate. 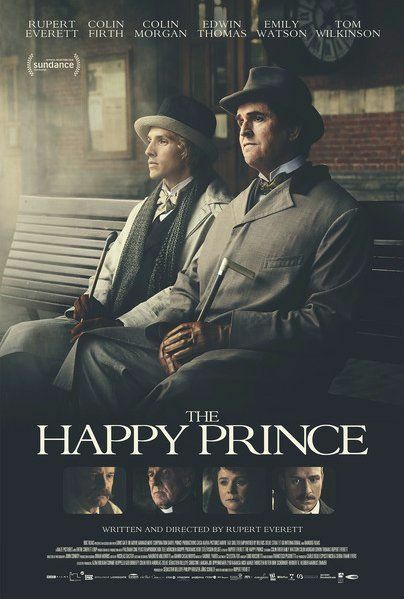 First-time helmer Rupert Everett directs himself returning to the role he previously played on-stage (Hare’s The Judas Kiss) in his literary biopic, The Happy Prince, which screens during this year’s Sundance Film Festival. Due to his disastrous libel action against the Marquess of Queensberry, Wilde was imprisoned and humiliated, but he was still profoundly attached to his nemesis’s son, Lord Alfred “Bosie” Douglas. Broken by the scandal, Wilde now survives on a small allowance provided by his long-suffering wife Constance and the charity of a small group of friends, including novelist Reggie Turner and his besotted literary executor Robbie Ross. However, Wilde pushes away Ross and risks permanently severing ties with Constance when Douglas joins him in exile. Everett has garnered raves for his performance as Wilde and raspberries for filmmaking prowess, but frankly Happy Prince is perfectly presentable. Despite the exquisitely cinematic locations (seriously, we should all be tarred with scandal if it allows us to stay in such picturesque digs), Everett’s film is meant to be a memory play in the tradition of literary theater. It meanders, because that is what the genre does. Regardless, Everett is downright spooky channeling Wilde’s acerbic wit and soul-weary moroseness. To his credit, he does not sanitize the literary icon, fully expressing all the bitterness and depression sapping his strength. Yet, there is something quite poignant about the rapport he develops with Colin Morgan, as the entitled Douglas. Problematic in several ways, Morgan is both a callow and sentimental figure, which is a tricky role to play, but Morgan pulls it off nicely. Executive producer Colin Firth basically roller-skates in and out as Turner, the concerned bystander, but Tom Wilkinson adds some much-needed energy and flair, as Father Dunne. He literally appears in deathbed scene, but he still invigorates the film. Fans of literary dramas will be pleased by the film’s classy package. Cinematographer John Conroy gives it a gauzy, painterly look, while Gabriel Yared’s score isn’t particularly memorable after the fact, but it always unobtrusively supports the drama on screen. Expectations might be a factor into how Happy Prince is received. It is not a definitive statement on homophobia or a brilliant directorial debut, but it is a very nice British period piece. Regular viewers of Merchant-Ivory films and PBS’s Masterpiece will find it satisfying, while they wait for the next big mini from Julian Fellowes. 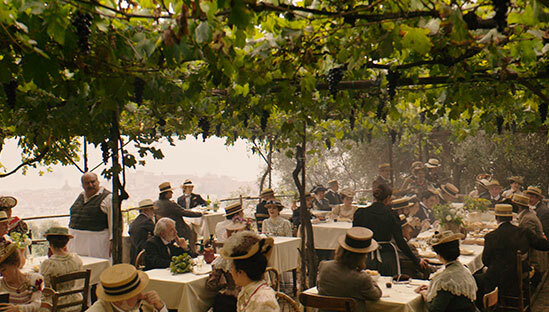 Respectfully recommended, The Happy Prince screens again today (1/28) in Salt Lake, as part of the 2018 Sundance Film Festival.